Today, I’ve answered the question “Is there eBay site in UAE?” and compiled a guide for online shopping, delivery & shipping on eBay in the United Arab Emirates. The global e-commerce giant eBay is used for both international e-commerce, as well as online shopping amongst sellers and items located in the UAE. Here’s my quick guide on what you need to know on how eBay works in the United Arab Emirates with shipping and delivery to your doorstep. Follow this quick guide to navigate your way on the eBay marketplace, for both buyers and sellers in the country. Both which are plenty! Step 2. Scroll way down to the “Located in” drop-down menu. Step 3. Select “United Arab Emirates” from the drop-down menu! Step 4. Searches are from then on narrowed down to UAE sellers. Note; Most of the sellers will be from Dubai. Step 2. Do a simple search for the type of item you are looking for. Step 3. On the left, you’ll see the “Item Location” setting, where you’ll see the option for Asia and other country regions for narrowing down your searches. As an international seller yourself, you can also use the services of the global version of the eBay site to enter the UAE online shopping market in English. For shipping to the UAE from anywhere in the world, the Global Shipping Program is a convenient solution provided for eBay sellers. Why is there no eBay in UAE? Even though there is no specifically localized version, eBay is available in the UAE. The website is specifically designed to serve customers from anywhere in the world. And to support shipping and delivery options internationally. Currently the domain eBay.ae (official top level domain name for the United Arab Emirates) is simply a forward to the global version at eBay.com and is likely to remain so. Expats as well as Emiratis have plenty of choice for online shopping in the UAE which is why perhaps the company is not interested in direct competition. Instead, it has kept it’s firm position as one of the most known, international, English language e-commerce and bidding portal websites in Dubai and rest of the country. But what sites similar to eBay in the country do have, is for example support for the local Dirham currency (AED), and Arabic language. However, most would argue that a real equivalent in terms of global reach and bidding features does not exist in the UAE. Anyway, explore alternatives below. As mentioned, looking for real eBay equivalents in the UAE is a challenge. You are often directed to Souq.com, sloganed “Buy and sell anything in the UAE amongst millions of users”. It is known as the local Amazon-style marketplace in the country. So obviously quire different from eBay and not a real equivalent. The closest alternative will be dubizzle, which however has no bidding feature, buyer protection and neither has a very huge range of available items. Instead, it’s a local classified site considered slightly better than Craigslist for example. Mostly, if you want to look for or sell used items through a simple but working interface for listings, mostly in Dubai. This will be a perfectly viable option. Fact is, that a large portion of the online shopping in the UAE is done through international sellers. Especially those in China and other Asian countries. Good thing with eBay is that they still often provide affordable shipping options to UAE, Dubai and other locations. And that’s my take on online shopping, shipping and delivery in the UAE. 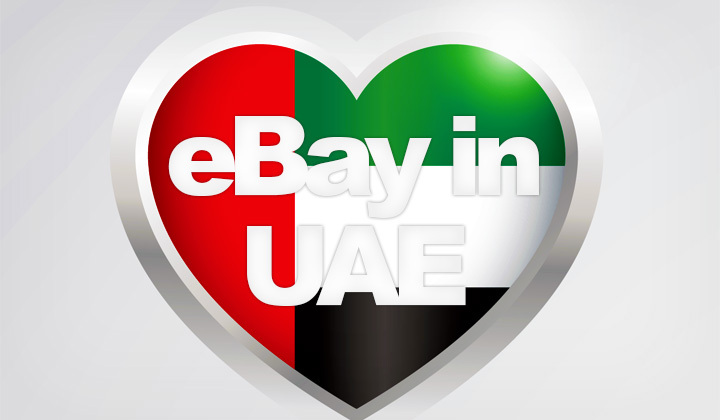 Experience with eBay in the United Arab Emirates & Dubai? What do you consider the best equivalent site? Comments, please! In order to be completely transparent with my readers, I want to make it clear that some of the links you might click on could be affiliated with the companies they link to. These are means to support the blog and work put behind making hopefully beneficial content to the readership. Huge and marvelous Thank you. David.